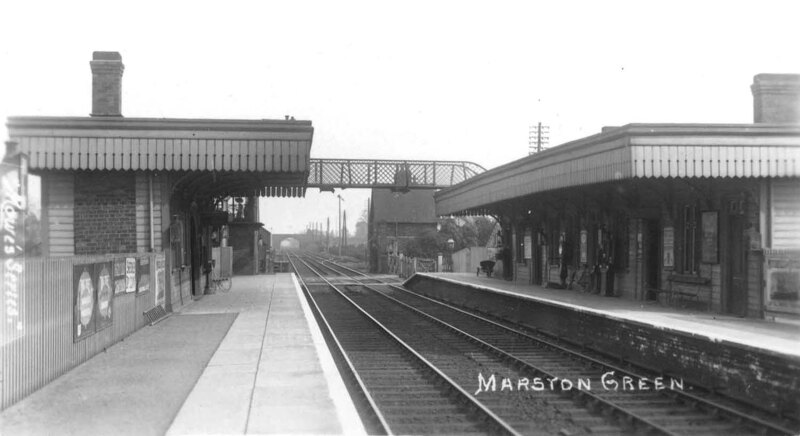 An Edwardian view from the up platform looking towards Coventry with the level crossing gates closed to road traffic. The station is immaculate, with no litter minimal platform furniture on show. The down platform was the principal structure accommodating the station master's office there was a general waiting room with lavatory, ladies waiting room, porter's room and another room. The up platform accommodated the booking office, general waiting room and ladies waiting room. The station master's house can be seen on the right just beyond the crossing with a refuge siding just beyond. From the Mowes Series of Postcards courtesy of John Alsop.